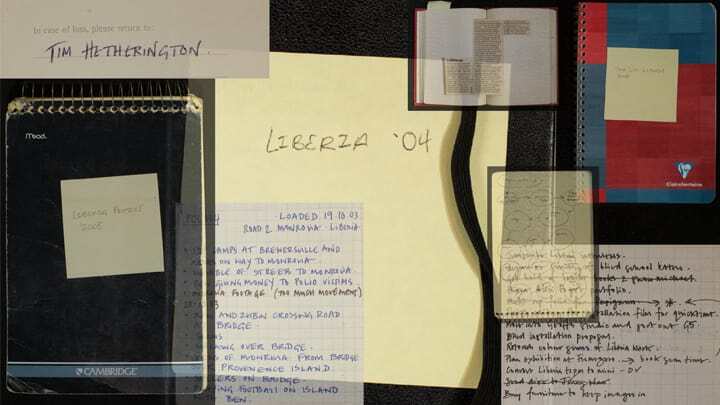 Throughout his adult life Tim Hetherington’s journals traveled with him as a constant companion. Sometimes an intimate confidante, sometimes a to-do list, sometimes a creative foil, his notes are a poignant and inspiring insight into one of the extraordinary minds of our time. To coincide with Hetherington's 48th birthday the BDC will host the first ever public reading of Hetherington’s personal writings. Join us for a special evening as we follow Hetherington’s journey through a small selection of the 5,000 pages of notes he made. This evening will also be the launch event for the exhibition catalog, War and Peace in Liberia: Tim Hetherington and Chris Hondros. Photo illustration by Robert Pluma.